Apart from the opening 10 minutes this was pretty much a stroll in the park, unlike the catastrophe on Thursday. United had the measure of West Brom quite quickly and rapid wing play by Ashley Young had their full backs going in the opposite direction. All three of United’s forward players looked very sharp and it was the Hernandez/Rooney combination that struck to get United’s firsts. Chcicharito curled one in with his left and the ever wily Rooney anticipated West Brom’s keeper and defenders to hammer in from close range. West Brom had the wind well and truly taken out of their sails. They also had a fair penalty appeal when Patrice Evra appeared to trip Peter Odemwingie inside the corner of the United area. None of the officials seemed think it was cause for a penalty and the game continued. David DeGea has kept his habit of game saving saves pulling off two great saves, one in either half. Certainly a new man! The second half saw a small 5 minute West Bromwich revival that was cut short by United’s incisive attacking play. Javier Hernandez hit the post while Danny Welbeck saw it fit to push the ball wide of an open goal. Ashley Young then provoked a penalty as he was tripped over by Keith Andrews. West Brom was by now with 10 men as Ollson had been sent off for two yellows, both justified. 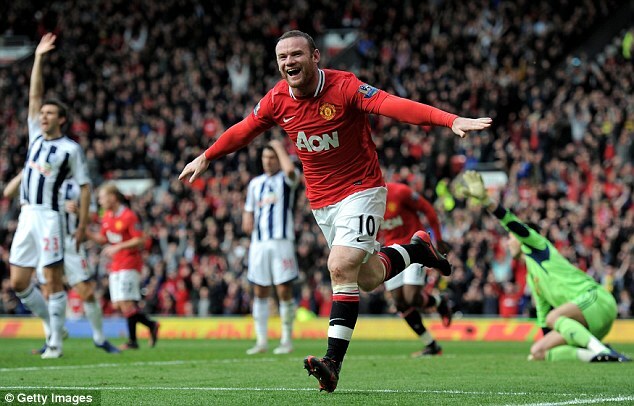 Rooney stepped up to score his second penalty in as many games to put the game beyond any reasonable doubt. What made the points even sweeter was the result filtering in from the Liberty Stadium where Swansea had beaten City 1-0 despite having a penalty saved by Joe Hart. All in all a much excellent end to a horrible week. Squeaky bum time Mr Mancini, can you cope with it? Match corresponding to the Barclay’s Premier League. Team changes once again after the Champions League mid week game. David De Gea was left on the bench while Wayne Rooney once again played in centre midfield. Patrice Evra returned at left back. Other than that nothing much has changed as United were lethargic and slow in the first half with little flow to our play. The goal came in the first half after a cross floated in was headed timidly goalwards by Danny Welbeck and then took a deflection off Manchester United former defender Wes Brown that diverted the ball into the goal. The second half was a slight improvement on the first with United trying to increase the tempo. Sunderland had a confused shout for a penalty appeal after a linesman confused a Sunderland handball in our area for United’s handball. Javier Hernandez had a headed effort headed off the line with the Sunderland keeper beaten. Westwood, Sunderland keeper, pulled off a fantastic double save off Rooney and Evra. Three points the best thing that happened in the match really. We take a break now for two weeks for two meaningless International Friendly games! 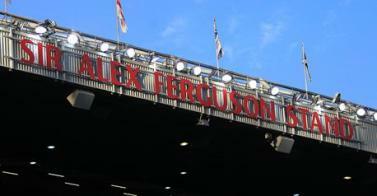 This match also came on the eve of Sir Alex Ferguson’s 25th anniversary in charge of United. 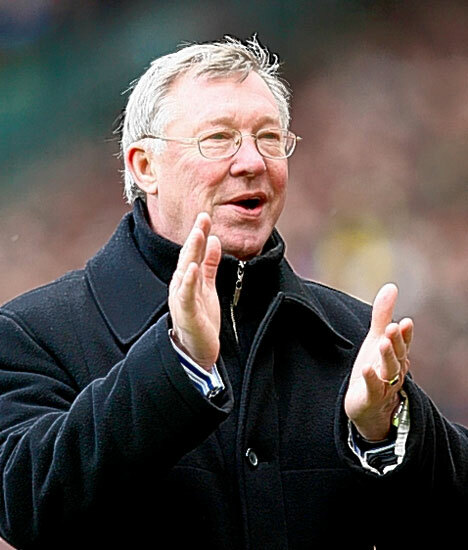 He was presented with a memento on the pitch prior to the match and received the honour of having the North Stand at Old Trafford named the ‘Sir Alex Ferguson Stand’. Long may he reign!! !